Dyeing your hair too quickly after bleaching it can cause damage to your hair. It also can result in the color being different from what is pictured on the box. This is a guide about dyeing hair after bleaching. Recently I had scalp bleached my hair and it is very unhealthy and brittle, and snapping greatly in some areas. I am naturally a brunette. I hate my hair like this and I regret dyeing it blonde. How long do I have to wait to dye my hair again? I am not bleaching it. I am just going to put in a semi-brunette colour. My best answer is: if your hair is this badly damaged, it should not be subjected to further chemical treatments. You should live with it or wear a wig until it all grows out. My second best answer is: Apply a temporary brunette color, such as a weekly rinse. If you choose to go with a semi permanent color, choose one which has no oxidizers, catalysts or boosters of any kind. 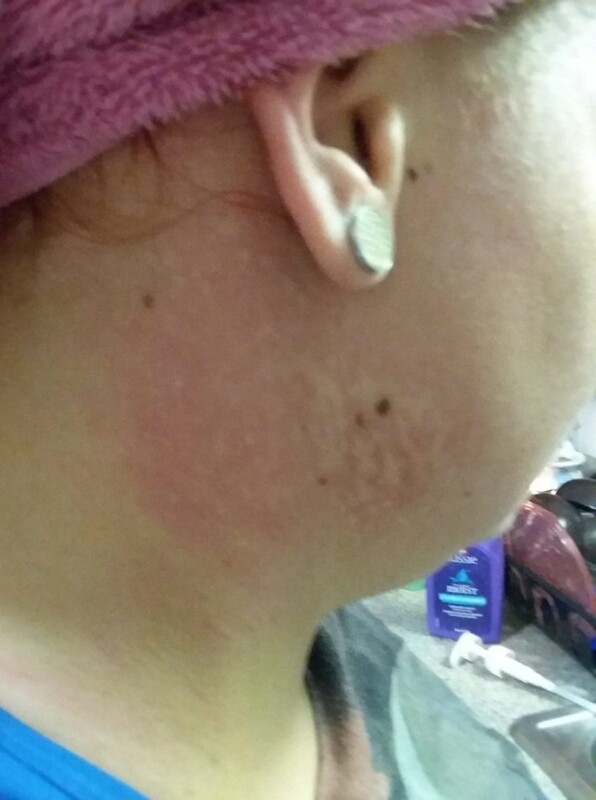 Above all, and I do mean above all, do a strand test to a small area at the nape of the neck before applying the solution to the entire head. There are natural hair dyes you can use that have no harsh chemicals in them. Most of them are vegetable based dyes. Make SURE you do the strand test first! But this is what we used at the hair salon I worked at. Read your labels... they will say "no harsh chemicals", "vegetable based formula". What happens if you re-dye your hair (with permanent colour) the day after using a colour remover? You pretty much deplete all the nutrients from your hair. Depending on our natural colour (red and white blonde being the most fragile, brunette being the strongest), your hair may become very fragile and break easily. Consider doing a test with a small portion before you do your entire head? Two or three things could happen. Rather than go into detail about each one, it would be best if you found out for yourself. 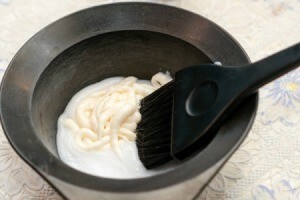 If you haven't done this procedure yet but plan to, after the color remover treatment, do a strand test of the color. If you like what you see, you can proceed with the entire head. If you don't like the results of the strand test, you will then know not to proceed with a full head treatment. I have recently gone to a hair dresser to have my hair dyed a wonderful gray. However, she didn't have my hair to the lightest it needed to be for it to take and hold the gray. So now I have a lot of blonde/yellow showing through the gray after just two washes! I'm wondering if I could just dye my hair gray over the previous gray to avoid bleaching again for a while, or do I need to just start over and go through the bleaching process again? Please help! High fashion blonds, platinums and silvers, require that the hair be pre bleached to the pale yellow stage. There are two reasons this is necessary. First, the toners which are applied to the bleached hair have a blue, violet or blue/violet base. If not enough yellow is removed in the bleaching process, the residual yellow and the blue/violet of the toner could result in green. The second reason is that toners are very delicate colors. If the hair is not bleached to the correct stage of pale yellow, the hair will not have the proper porosity to 'accept' the toner. The toner is deposited only to the outside of the cuticle and will quickly be shampooed away. The toner must penetrate through the hair cuticle to get a lasting color. Also know that since toners are very delicate, they can be stripped from the hair even if proper penetration is achieved. This would be the result of using a shampoo that is not designed for bleached and toned hair. Also, keep in mind that excessive exposure to sunlight can fade these delicate toners. Recoloring you hair with a grey color will not solve your problem. It will only temporarily cover the yellow. The hair must be bleached again to bring it up to the color manufacturer's suggested stage of pale yellow and porosity, and then the 'grey' toner reapplied. It seems that your hair was bleached to almost the needed degree of 'lightness'. Your second visit to the salon should take only a portion of the time required on the first visit. Once you achieve the desired color, be sure to use a shampoo specifically designed for bleached and toned hair. The best colorist in the world cannot guarantee the toner will last til time for a bleach and tone retouch, if you use a shampoo at home that can strip color. For what it's worth: You should not have to pay for having the bleach and tone corrected, only for the shampoo and set (if in fact you do get a shampoo and set (or blow dry or whatever). My hair was bleached once and my hair colour was blue at first, but it slowly turned into grey with green tones about a month ago on Feb 10 2018. That was actually my second time bleaching my hair. The first time was on November 26 2017. Is it okay for my hair to be bleached for the third time on Sunday March 35 and get a purple colour for the colouring part. (For all the times my hair was bleached, I went to a salon to get it done.) Thank you for your response. Enough time has passed. Deep-condition before you go. I recently dyed and bleached my hair, 6 months ago, to an ombre colour (brown and blonde). If I want to get rid of the blonde at home, should I dye all of my hair brown or should I only dye the previously dyed areas? IF you can only dye the previously dyed areas, that woudl be ideal so that the whole thing would be evened out in the end. IF you dye all of it together you may get uneven spots. My friend bleached my hair last night and I hate the color. If I wait 2 days do you think it will be safe to dye my hair back to dark brown? If your scalp feels normal and shows no sign of irritation, I think you could safely color your hair within two days. But there are advantages to waiting at least a week. Bleach raises the cuticle of the hair, making it more porous. In time the cuticle will 'flatten' a slight amount. This slight amount will be beneficial when you recolor your hair. In effect, it will help prevent the hair from grabbing too much color. Also, the longer you wait, the less skin staining there should be from the color. I suggest waiting a week, and for the two days prior to the treatment, do not wash your hair and do not wash your hairline. A heavy coat of Vaseline applied to the hairline before the color treatment will reduce staining. If you have it on hand, a heavy coat of Chapstick would be even better. The colors shown on color boxes and color charts for regular permanent color (not toners), show the manufacturers results on virgin (not bleached or permed) hair, with a percentage of grey averaging 35%. Do not expect to get the color on the box when applying the color to bleached hair. Due to the porosity caused by the bleach, your hair will grab and hold much more color than virgin hair, resulting in a much darker color than that shown on the box. For this reason it is important you chose a brown shade lighter than your original color. I cannot give you a concrete answer to how light a brown you should choose. That would depend on how light your hair was bleached. To be on the safe side, I would suggest you use a light brown shade in the same family as your natural hair, reddish, neutral or ashy, etc. If it is too light, color can be reapplied, which is much better that stripping color that is too dark. If your friend had done a strand test, it would have prevented the need for you to recolor your hair. By the same token, if you do a strand test prior to full head application of the color you will be using, you again are in a position to see what the final results will be before full coverage. Whatever color you choose for 'redyeing' your hair, follow the package instructions for doing a strand test first. You might save yourself a lot of heartache. I dyed my hair last night and it's come out far too blonde. It is much higher than I thought it would be. I really hate it! What can I do? I was told to wait to go to the salon. Yes. The corrective work should be done by a professional. If you should decide to recolor your hair, yourself, you should choose a color several (at least 2) shades lighter than you want the end result to be. Bleached and toned (not 'dyed') hair will 'grab' dark colors and end up much darker than the color shown on the bottle. I bleached my hair about 4 days ago, I didn't have any problems other than it turned orange. So I knew I needed to redo it. Today I bleached it again, but my hair fell out. Not completely (thank God! ), but enough to where my hair look thinner than normal. My scalp doesn't burn or anything and the color is just a lighter orange mixed with some blonde strands. I'm wondering how long should I wait before it will be safe to color my hair. I read that I can use an ash blonde color to turn it to a light brown. Will that be okay as well? I bleached my dark brown hair in April 2017 and it looked a little too brassy for me so I dyed it black in June 2017. I'm going to get my hair cut soon and was wondering if it will damage my hair more to get sort of an ombré/balayage in my hair? My hair stylist told me box dye stays in your hair a couple of months, but I am not too sure if that's why the color came out brassy. It wont damage your hair. When you go from dark to light it is a. 2-step process. The dark color is lifted and the light color is deposited. If you didnt do that the color gets brassy. My daughter used a shop dye to go blonde before she uses another shop dye to go electric blue. She did the first one yesterday, is it OK for her to use the second color today? Normally when you want to go blue, green, pink or another color the hair salon will strip the color of the hair. They won't dye the hair blond. You shouldn't have dyed the hair blond. If you try now to add another color dye to the hair it could come out looking very bad. Don't dye the hair blue now. Make an appointment with a hair salon and have them strip her hair. The salon can then dye her hair blue and she will have the results she is looking for. So I went to the salon to get a blonde/brownish balayage (I am naturally a brunette on the darker side), but unfortunately it ended up being this gross orange with lighter streaks in it. How long do I have to wait to just dye it black and not be ashamed at letting my hair down? Hours after I got the bleach, I gave myself a conditioning treatment. Would I be able to dye it tomorrow using standard box dye? Help! I don't know why you can't go back to the salon to have the owner fix this. There is no reason you should be dissatisfied. If you start with different colors, the black will not be even, either. The stylist or salon owner or both need to know you are unhaand make it right for you. Good luck! Kindness is critical, but be firm with your need for them to fix this. Oh no, go back for a fix. They won't charge you extra. You did not get what you asked for! I went to a hair salon today and bleached my hair. It came out orange from the bleaching. Then I dyed it medium brown, but it is now an almost light red copper color. What should I do to fix it? My regular color is medium brown. I just recently bleached my hair. How long do I need to wait to put the hair dye in it? I had a reaction to it, but the reaction is going down. Wait at least 2-3 days. But since you got a reaction, perhaps a week. Can I dye my hair after bleaching? I am going to get it done by a professional, but want to know the best responses first. I was looking to get it dyed a blue - purple ombré. I also need another question answered, should I dye my hair before or after I get it cut? I would cut my hair first and then dye it. I would wait a month between dyeing and bleaching, for the sake of your hair's health. Talk to your stylist about this. He/she can verify if your hair is healthy enough to have all of this done. I cut first so it doesn't waste the dye. I know you don't pay for the dye by inch, but it seems wasteful to dye then cut...but I am weird that way! I dyed my hair about a month ago, but it didn't take the way I wanted it to. I decided to go out and buy some Splat and used it, but did not bleach my hair. I want to re-dye it with a different Splat color. Would it be safe to bleach 1st? Bleaching and re-dyeing your hair can damage your hair. What I would do before attempting any of this is ask a professional. They can actually give you the best advice there is. If they think it is best to bleach or strip out the color in your hair before you redye your hair then I would say this is safe. Many professionals don't like to damage people's hair with too many stripping agents.